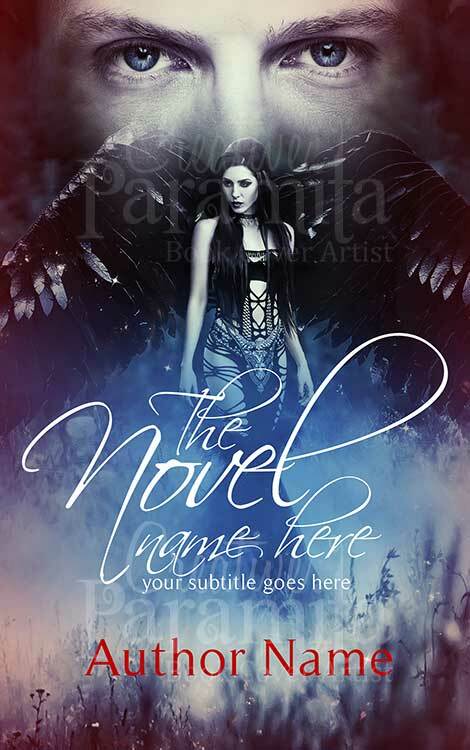 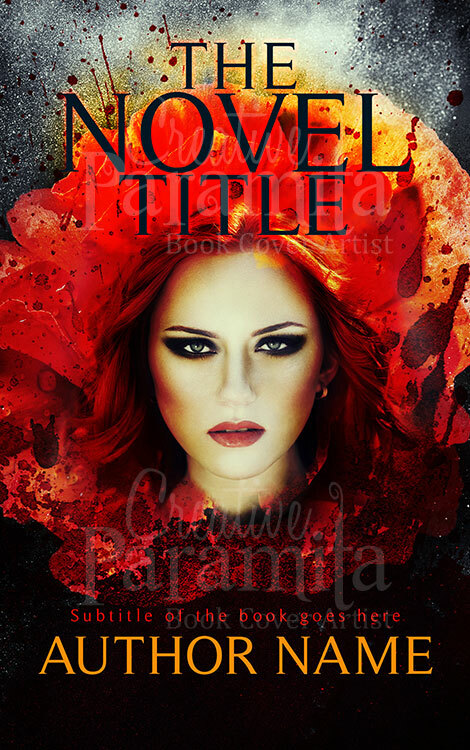 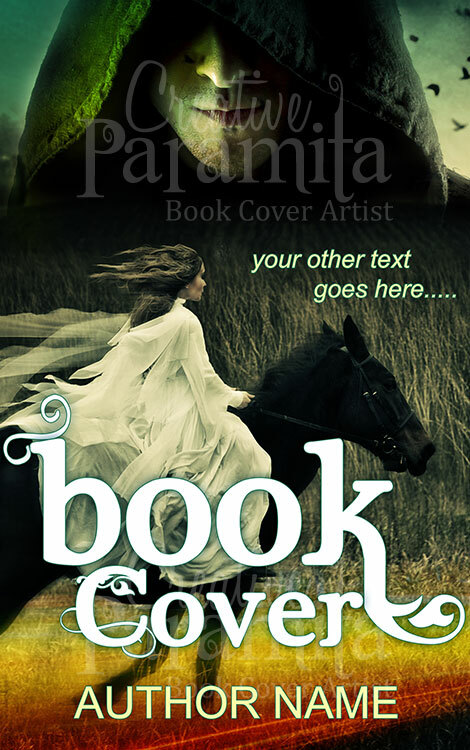 A beautiful magical fantasy premade book cover for fiction fantasy story books geared towards young adult crowd. 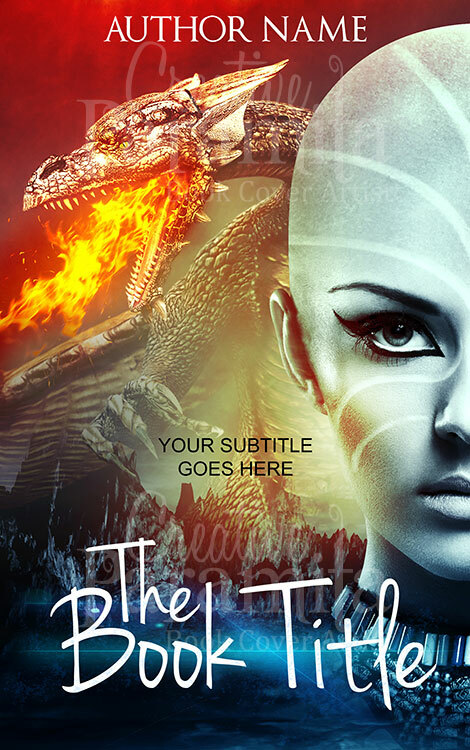 This book cover design is about a goddess, she is bald with tattoo painted to her face, and a fire breathing dragon. 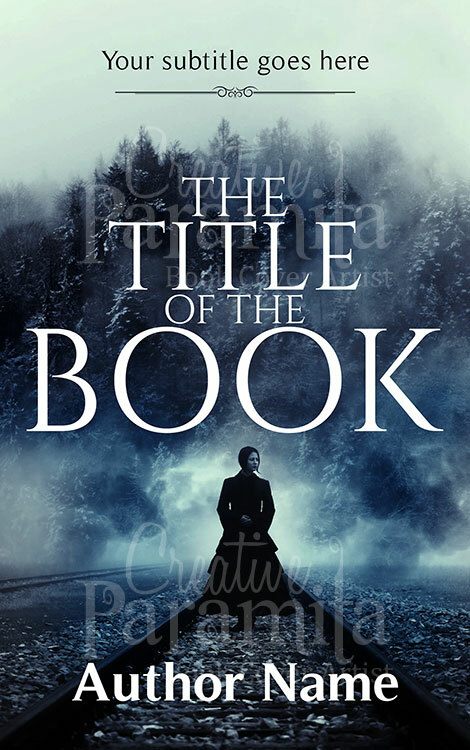 High contrast and eye catchy colors such as red sky and blue highlight behind the title, are used in the ebook cover design to appeal more to the readers.